WARSAW — A Winona Lake man is now facing a charge of voluntary manslaughter after running over a man after a drug deal went bad in February. 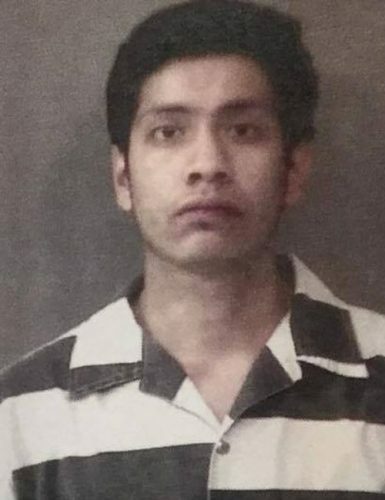 On Tuesday, July 18, Daniel Duenas, 2326 East Pierceton Road, Winona Lake, a motion was filed and granted to charge Duenas with voluntary manslaughter. Duenas was previously being charged with aggravated battery. According to police records, last February, one person died after a drug deal turned into a traffic homicide. Friday evening, Feb. 17, Warsaw police were called to the 700 block of North Cook Street for a car versus pedestrian crash, where the driver, Duenas, had fled the scene. Upon arrival, police located a black 2010 Ford Mustang off the west side of the road. A 29-year-old male was found underneath the Mustang suffering from serious injuries. Warsaw-Wayne Fire Territory extricated the male and he was transported to Kosciusko Community Hospital where he died from his injuries. Warsaw police and the Kosciusko coroner’s office identified the victim as Derek Davidson of South Bend. Only minutes after the crash, an Indiana State Police officer located Duenas several blocks away and took him into custody without incident. The initial investigation indicates that a marijuana drug deal was set up between several subjects, but when it came to the exchange, Duenas was battered and robbed. Duenas got into his Mustang, backed up and then sped forward into the victim, pinning the victim under the car. Duenas then backed up and drove forward several times before jumping out of the car and fleeing on foot.